When Google pulled the plug on its RSS aggregator Google Reader last year, we lost the most powerful tool that we used to monitor what’s going on in the blogosphere. For the Lebanese, however, there is a resource that can provide us with the latest posts from the Lebanese blogosphere. 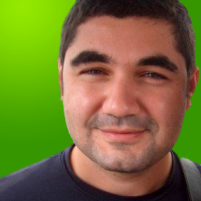 This resource is Lebanese Blogs by Mustapha Hamaoui (also famous for his political blog Beirut Spring). It is by far the most interactive and dynamic blog aggregator dedicated to the Lebanese online community especially after its new release, as others prove to be very stiff and outdated. The site is updated every ten minutes with the latest blog post and offers the user some customization features like the ability to designate blogs as favorites, ability to save blog posts for future reference and the ability to change views: Timeline (like Facebook) and Compact (like Google Reader) in addition to the classic Card view. You can even read blogs based on different categories such as: Fashion & Style, Food & Health, Society & Fun News, Politics & Current Affairs, Tech & Business, Music, TV & Film and Advertising & Design. 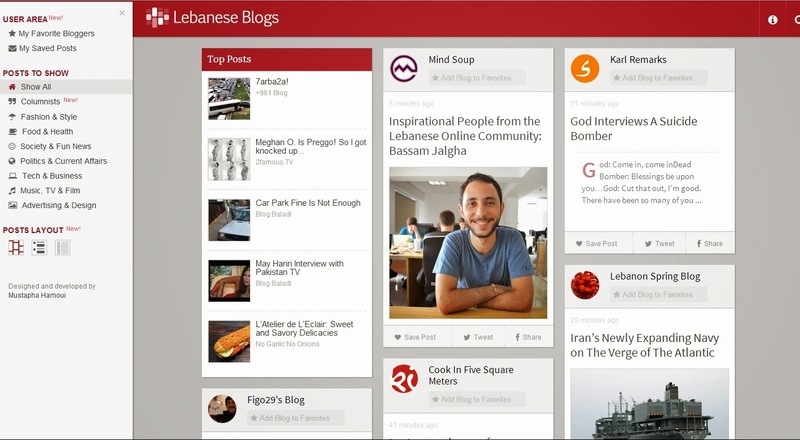 So next time you are looking for something to read, log into www.lebaneseblogs.com and find the hidden gems from the Lebanese blogosphere.